The United States wants better ties with Eritrea following this month’s lifting of UN sanctions against the Horn of Africa nation, Washington’s top Africa diplomat said on Friday. The UN Security Council sanctioned Eritrea in 2009 for supporting Al-Shabaab militants in Somalia but lifted the restrictions following the July signing of a peace deal that ended 20 years of conflict with neighbouring Ethiopia. Relations between Washington and Eritrea have long been frosty but US Assistant Secretary of State Tibor Nagy told journalists ahead of a trip to the capital Asmara that he hopes that will change. “We would like to have the same type of positive relations with Eritrea as we do with Ethiopia,” a key ally Nagy said during a visit to its capital Addis Ababa. 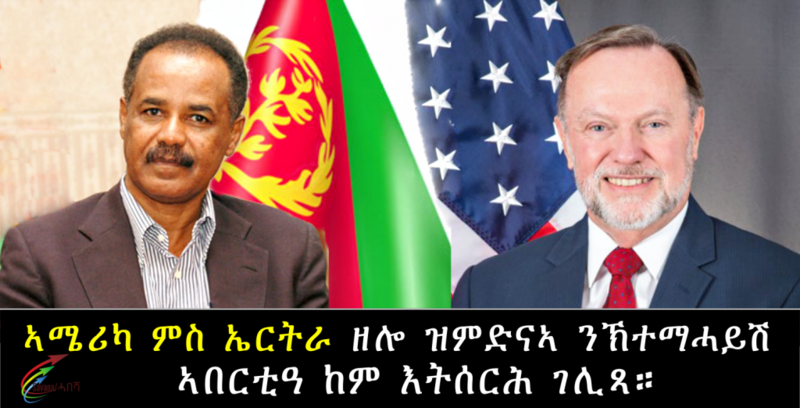 Eritrea is considered one of the world’s most repressive countries, and Nagy suggested to Congress in September that the US would only support lifting sanctions if Asmara reformed. Among his concerns were Eritrea’s continuing detention of US citizens and Eritrean embassy employees as well as its purchases of arms from North Korea. However the US ultimately backed the Security Council resolution lifting sanctions, a shift diplomats attributed to national security adviser John Bolton, who dealt with the Eritrea-Ethiopia conflict when he served as UN ambassador. Once a province of Ethiopia, Eritrea voted for independence in 1993 then five years later fought a two-year war against its southern neighbour that ground into a stalemate. The two countries normalised relations following Ethiopian Prime Minister Abiy Ahmed’s June announcement that his government would honour a UN ruling ceding disputed border territory to Eritrea. The countries’ rapprochement raised hopes Asmara would release jailed dissidents and end much criticised policies such as an indefinite national service scheme that forces people into government jobs at low pay. But Asmara has made no such changes, which Nagy alluded to on Friday. “The United States obviously continues to have some outstanding issues with Eritrea,” he said.